Did you know that, until the final quarter of the twentieth century, public health dietary advice in the US and the UK focused on minimum intakes, to ensure that populations consumed adequate nutrients? The US 1950s-1970s “Basic Four Foundation Diet” recommended four or more bread and cereal portions daily, two cups or more of milk and two or more servings of meat (Ref 1). 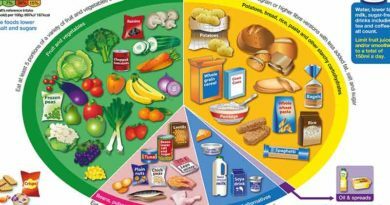 The UK favoured micro nutrient recommendations; until the first macro nutrient guideline was introduced in 1950 with British Medical Association advice that dietary fat intake should provide a minimum of 25% of daily calories (Ref 2). The first public health dietary guidelines to set maximum intakes were those announced by the US Select Committee on Nutrition and Human needs in 1977 (Ref 3). These were followed by(Carter, 1977) UK public health dietary advice issued by the National Advisory Committee on Nutritional Education in 1983 (Ref 4). Dietary recommendations in both cases focused on one macro nutrient, fat, and a component part of that macro nutrient, saturated fat. The specific targets were to i) reduce overall fat consumption to 30% of total energy intake and ii) reduce saturated fat consumption to 10% of total energy intake. As there are only three macro nutrients (carbohydrate, protein and fat), and since protein tends to stay fairly constant in either a plant or animal based diet at approximately 15%, if fat is restricted, carbohydrate increases (and also – if carbohydrate is restricted, fat increases). Fat and carbohydrate are the two most dependent variables in the diet. As human diets restricted fat to c. 30%, therefore, carbohydrate increased to 55-60% of our dietary intake. Since these guidelines were introduced, epidemics of obesity and type 2 diabetes have developed: coincidence or cause? 7) If you drink, do so in moderation. All pretty vague and unhelpful, to be honest – “maintain ideal weight” – by doing what exactly?! How much is “too much”?! What is meant by “adequate”?! Wind forward 35 years and the Dietary Guidelines are scrutinised like no other American health document. They were published on January 7th 2016, which amused me in itself. The committee know five years in advance that the guidelines are due in 2015 and they have 365 days to publish them and still they were late! “1) Follow a healthy eating pattern across the lifespan. All food and beverage choices matter. Choose a healthy eating pattern at an appropriate calorie level to help achieve and maintain a healthy body weight, support nutrient adequacy, and reduce the risk of chronic disease. “2) Focus on variety, nutrient density, and amount. To meet nutrient needs within calorie limits, choose a variety of nutrient-dense foods across and within all food groups in recommended amounts. “3) Limit calories from added sugars and saturated fats and reduce sodium intake. Consume an eating pattern low in added sugars, saturated fats, and sodium. Cut back on foods and beverages higher in these components to amounts that fit within healthy eating patterns. “4) Shift to healthier food and beverage choices. Choose nutrient-dense foods and beverages across and within all food groups in place of less healthy choices. Consider cultural and personal preferences to make these shifts easier to accomplish and maintain. “Consume a healthy eating pattern that accounts for all foods and beverages within an appropriate calorie level. The recommendation to limit dietary cholesterol intake to 300 milligrams a day has prevailed in the US since 1977 (Ref 3). This has been dropped from the 2015 guidelines. The Dietary Guidelines Advisory Committee (DGAC) report from February 2015 declared that this recommendation would not be brought forward because available evidence shows no appreciable relationship between consumption of dietary cholesterol and blood cholesterol (Ref 5). All of those years of demonising super-nutritious foods, like eggs and seafood, were all for nothing. There was no evidence. The DGAC demonstrated further movement away from the original dietary guidelines by containing no total fat recommendation and a change in position on dietary fat and cardiovascular disease (CVD). The advisory report documented the findings of the meta-analyses by Skeaff, Siri-Tarino, Hooper and Chowdhury (Refs 6-9) and concluded that reducing total fat does not lower CVD risk. The paper from my PhD from the same month stated the same: there was no evidence whatsoever against total fat for heart deaths or deaths from any cause. Alas, the fact that there is also no evidence against saturated fat was a step too far for the 2015 dietary guidelines committee to acknowledge. Hence the saturated fat guideline has been reiterated, with the same recommendation to consume less than 10% of total calories from saturated fat per day. It is not widely known that one of the seven original 1980 dietary guidelines was “Avoid too much sugar”. This has largely been missed/ignored – whatever has happened – sugar concern and awareness has really only come to the fore in the past couple of years (albeit as a resurrection of the 1970s work of Professor John Yudkin). The 2015 guidelines specify that people should have less than 10% of their calorie intake in the form of added sugar. 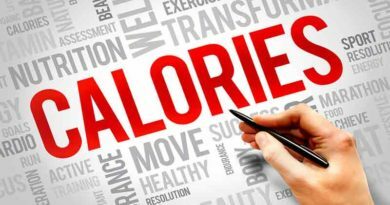 For a typical female, consuming approximately 2,000 calories a day, that would be 200 calories from added sugar – 50 grams of sugar at c. 4 calories per gram. That’s a lot. Far more importantly however, is the continuation of the nutritional ignorance that has got us in this dietary mess. While recommending less sugar, the Dietary Guidelines are concomitantly advising more fruit, more grains, more beans/pulses, more starch – all things that are, or break down into, sugar. The different forms of sugar are listed here, where fruit is used as an example to show that it is essentially sugar, with far fewer nutrients than people think. The only guideline that the US government needed to issue was “Eat real food”! The only debate is then – what should that real food be? If we choose food for the micro nutrients it provides (vitamins and minerals), the answer is obvious. We need to prioritise meat, fish, eggs, dairy, non-starchy vegetables and sunflower seeds. Fruit, grains and starchy vegetables really don’t get a look in. I suggest that for three key reasons – lobbying by the fake food industry; ignorance on the part of the dietary guidelines panel; and a reluctance to change views, as this would be seen as an admission of previous wrong doing – the 2015 guidelines are what they are. Americans are stuck with bad advice for another 5 years, just as they have been for the 35 years previously. The smart people will ignore these guidelines and work out for themselves that real food is the only choice and some real food is substantially better than others. Ref 8: Hooper L, Summerbell CD, Thompson R, et al. Reduced or modified dietary fat for preventing cardiovascular disease. Cochrane database of systematic reviews (Online) 2011; (7): CD002137. Coincidentally, I have just seen this in the comments to the above Atlantic link, where a commenter links to your post about meat! “PCRM is a vegan advocacy group. They won’t be happy until they impose a vegan diet on everyone else. We have never established as “fact” that a plant-based diet is healthier than a meat-heavy diet. We have observational studies based on self-reported food surveys, where people who are eating a lot of meat, lower quality processed meats, more processed foods in general, more carbohydrates and sugars, fewer vegetables, getting less exercise, etc, are less healthy than populations who are eating the opposite of all those trends. To blame this solely on “meat” ignores both types and qualities of meats, as well as ignores all those other dietary factors (carbohydrates, processed oils, etc) and ignores the numerous populations who have enjoyed excellent cardiovascular health while eating diets rich in meats, fats, and saturated fats. Humans are adapted to be omnivores, and quality animal foods are both satiating and nutrient dense. We also have numerous clinical trials, with human subjects, where people eating high(er) fat, low(er) carb diets both lose weight and improve their cardiovascular risk factors relative to those eating low-fat or standard dietary advice. In short, it was likely the chocolate cake, soda, and the breading on those chicken wings doing the damage to Dr. Ravella’s patient, the chicken inside the breading was most nourishing part of that meal. As a doctor, a gastroenterologist, Dr. Ravella should know that dietary cholesterol has little to no effect on blood serum cholesterol, and that a breakfast of eggs is one of the most nutritionally dense and satiating breakfasts that one can eat. Interesting article on the calorie at Huffington Post – Yes, The Calorie Is Broken. Here’s Why. 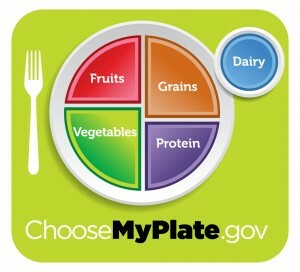 Under the column: Choose from these foods daily, it has fruit juice (unsweetened)!! Sweetened fruit juice is under the Eat in moderation once a week or less. Even where the word is now out on TV programmes and tabloids re the damage caused by the high levels of fructose in so called “unsweetened” “healthy” fruit juices! I don’t recall this advice in the previous sheets, but I may be wrong. All whole milk dairy still a total no no, as is butter; the only oil that is acceptable is rapeseed: you can have deep fried chips as long as fried in rapeseed. The only acceptable “nuts” are chestnuts. Whole grains tofu, soya, recommended daily, White grains, 2-3 times a week. I don’t know what gets handed out – probably just as well or my BP would go up! That sound truly dreadful advice – do you blog? Can you post it up somewhere for the world to see?! The site I blog for does mainly political stuff. I have a moribund blogsite I can maybe use. I agree it is worth sharing more widely. Will be in touch. The diet sheet was sent to you on twitter by DIL. I love your response. Thanks for the post. I especially like taking the long view back to the original DG. Instead of sunflower seeds by themselves, I would have guessed you would have written all seeds and nuts. Why just sunflower seeds? Because they are uniquely rich in vitamin E – to the extent that I wonder how humans get sufficient vit E without them! Thanks, I’ve put them on my salads, so I’ll do that a little more often, now. And just plain eat a handful. Well it could happen, do you think Aseem Malhotra or Rangan Chatterjee will be their victim in a show trial a la Annika Dahlqvist (that didn’t end too well for them), Tim Noakes and Jennifer Elliott. They seem a tad upset that these guys are improving the health of their patients. Well, they’re still recommending “low fat” and “non fat” dairy products. That’s not real food, and if you’re not going to eat proper dairy products how they appear in nature, why eat them at all? And I notice they seem to recommend soy a lot as part of a “healthy diet”; I have a lot of quibbles about that, soy is a highly processed non-food. Although they’ve “lightened up” slightly on their dietary cholesterol recommendations, there’s still a caveat where they claim that foods that are high in cholesterol “are also generally high in saturated fat”, and therefore should be limited. They’re still recommending low sodium diets, when some of us (like me) have low blood pressure and need to make sure we eat *enough* sodium- (reducing sodium only minimally reduces blood pressure anyway, whereas reducing sugar and carbohydrates has more effect). They seem overly concerned with caloric intake, as if to imply that each and every one of us are fat. I could go on and on….. So many things wrong with this one-size-fits-all advice! This may be a stupid question, buy why are governments giving us nutritional advice to begin with? After all we managed for several thousand years without their benevolent oversight. Looking at what’s happened to us in the 50 or so years since they started telling us what’s good for us, it’s become quite the train wreck. Would the hyper-processed food industry have made such inroads if they hadn’t had tacit government approval? Well said! Official advice is never going to amount to much as it is the result of vested interests and agenda driven politics (especially in the US which must be regarded as a lost cause when it comes to diet). The problem is finding genuinely good advice, such as you and relatively few others provide, vs. the dogma driven rubbish that so many people (including celebrity doctors) who should know better continue to spout. Bad diet advice from doctors is particularly damaging because far too many assume that a doctor knows what he/she is talking about when it comes to diet. Additionally the voice of reason is heavily outgunned by the voice of stupidity especially when it is backed up by what appears to some as obvious knowledge (the “everybody knows” syndrome) such as fat makes you fat and the “eat less move more” brigade. Note that I’m not anti-exercise but it is not the most efficient or comfortable way to lose weight. It is beyond obvious that the depressingly poor health of many is a direct result of flawed dietary advice (ignoring the minefield that is the quality and nutritional content of food even if you consume the right type of food) and the damage resulting from a poor diet is compounded by unnecessary medication rather than correcting diet deficiencies. Corruption aside I cannot understand how intelligent people fail to see what is wrong with current diet advice when it has so clearly failed so many for so long. Even a basic knowledge of biochemistry provides enough understanding to uncover the fundamental flaws. The 1980 guidelines were the product of that famous Senate committee. Replying to one of the actual scientists’ plea that not enough was known to provide useful guidelines, Senator McGovern replied that senators, unlike scientists, didn’t have the luxury of waiting until every last piece of evidence was in. What he really meant was, “until we have any reliable evidence at all”. This was an outstanding early example of what has since become known in political circles as “policy-led intelligence”. 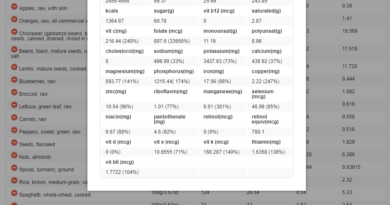 Also, they kept the (very low) salt intake the same, even though there’s quite a bit of evidence that that low of salt intake can cause disease. There are many conflicting studies on salt intakes and disease. If that’s the case, the guidelines should say “We think there might be upper and lower limits for salt, but we have no idea what they are.” Instead, they may rules, which may cause more harm than good. The only point about your article where I have a possible quibble is in resistant starch. I’m not sure about resistant starch. I’ve been experimenting with it lately because I was experiencing irritable-bowel type symptoms (basically, you have to go to the bathroom IMMEDIATELY or it feels for hours like you have to go but don’t). Resistant starch, though, often means increased calories from carbs. Since I’m insulin resistant, it’s a challenge to balance the carb intake with the (purported) benefits of resistant starch. I should note studies with resistant starch, even for diabetics, show no increase in blood sugars for resistant starch (not sure about the effects of insulin, though — I’ll see if I can look into this). It’s unclear to me whether resistant starch is helping, as I’ve also been performing intermittent fasting (first week of the year was a five day fast), and only have been trying a little over a month, with the holidays thrown in. My initial impression is that using resistant starch seems to help. A side issue for me is why we (the human race) involved to need resistant starch — why aren’t vegetables good enough? Why do we also need plantains, potato starch, etc. ?